Last year in November, my friend suddenly said to me, "Mel, shall we do something meaningful next year?" I replied, in an almost knee-jerk manner, "Like what?" She then said, "How about organising a yoga event and inviting our friends?" That gave birth to the idea of WellnessYogi RESET. We came up with the name RESET precisely because we both are working in jobs that require us to work late and in very high stress environment. We both needed to reset our lives and regain our balance. We also understand that we're not alone. Many women feel the same way. Yes, we're bold and crazy but sometimes, we just want to GO BIG if not we'll go home!! We want to infect the world to spur everyone to change for the better and reach their personal goals, whatever they may be. The secret of change is to focus all of your energy not on fighting the old, but on building the new. WellnessYogi RESET is our dream and we've started it. We've booked the venue (Marina Bay Waterfront Promenade), booked the licence (still many more to go...), booked our instructors and are pressing on to get more sponsors onboard so that we will not suffer financial woes because of this project. It's our project of love and pride that we're sharing with you and we hope that you'll help us finish it! We understand that yoga isn't for everyone, which is why there are other workshops (make up anyone?) and even a picnic lunch session where we can all chillax together. 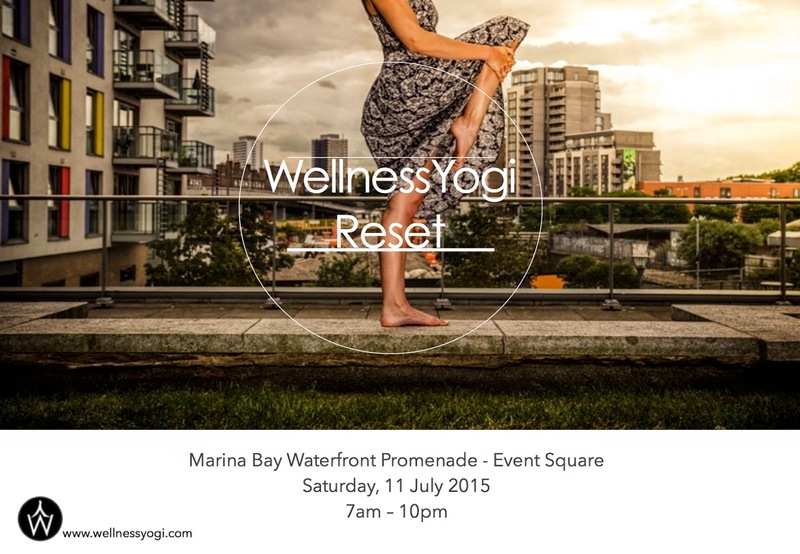 Heard that there will be fireworks on the 11 July so the night yoga and after party will prove to be super fun! Tickets are selling at $40 (early bird) and if you bring a friend, it'll only be $35/pax! We're also very excited that we're going to have a Wellness Bazaar so if you'd like a booth, please message me at melissa@passhen.com!